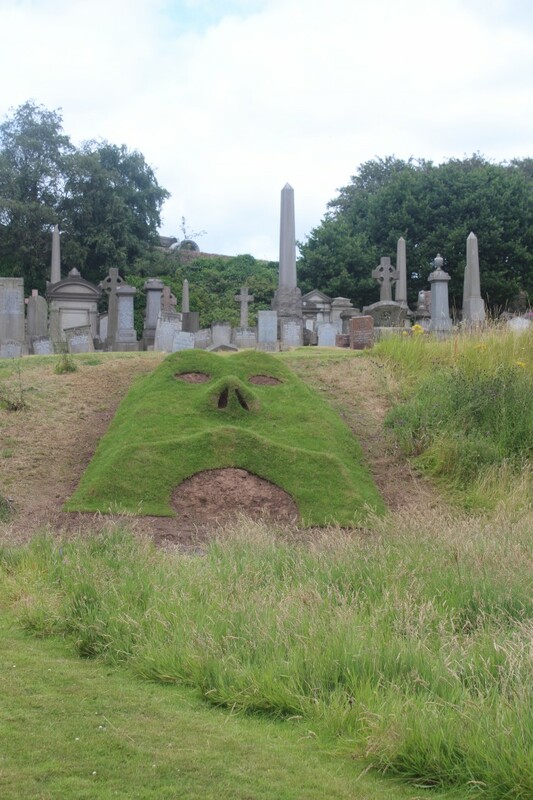 The Green Man in the Necropolis is part of an ongoing project and the 3rd grass head sculpture I have made. 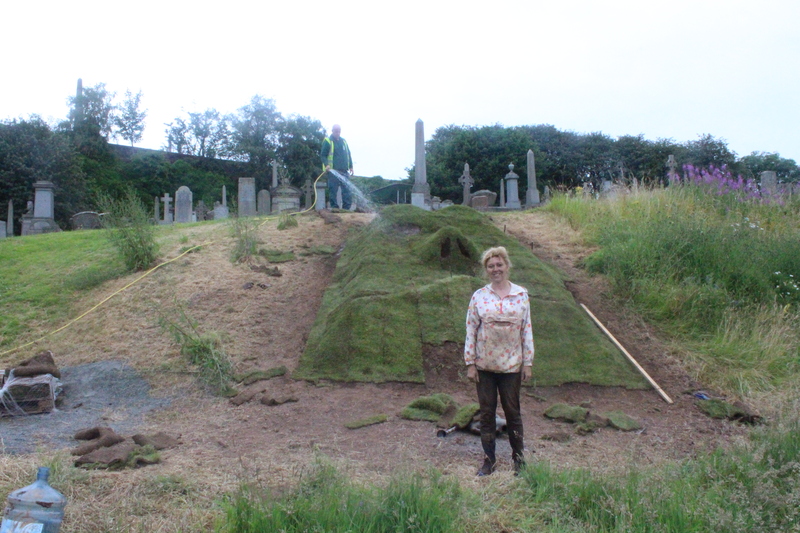 My intention was to build a large sculpture situated within and created out of the existing urban landscape: a large pagan-like head covered in grass, which would ideally be situated in a public site in the East End of Glasgow. The juxtaposition between the ‘modern’, post-industrial cityscape and the pre-modern, counter-rational totem-like work is fundamental to my project; but should not be seen as an alien intrusion, rather a codification, an expression of tensions already evident in the existing geography of the city, both physical, psychological and mythic. 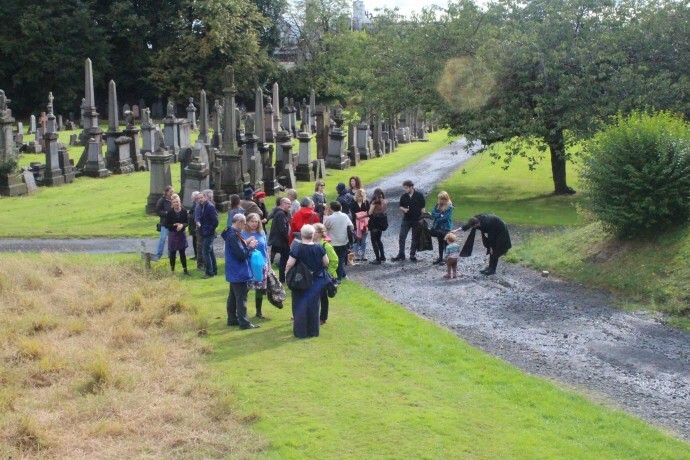 In 2013 Kennyhill Allotments in Riddrie agreed that I could a use vacant ground for the duration of the summer and it was here that I filmed Green Head Placing my project within an existing community, such as an allotment or the Necropolis, imbeds it further in the ‘conventional’ city and exposes wider human strata to the artwork; blurring the lines between audience and participant. The interaction with the public while building on these sites was a rewarding experience and allowed the works to become more autonomous as they evolve and are embraced by to the communities they are placed in. 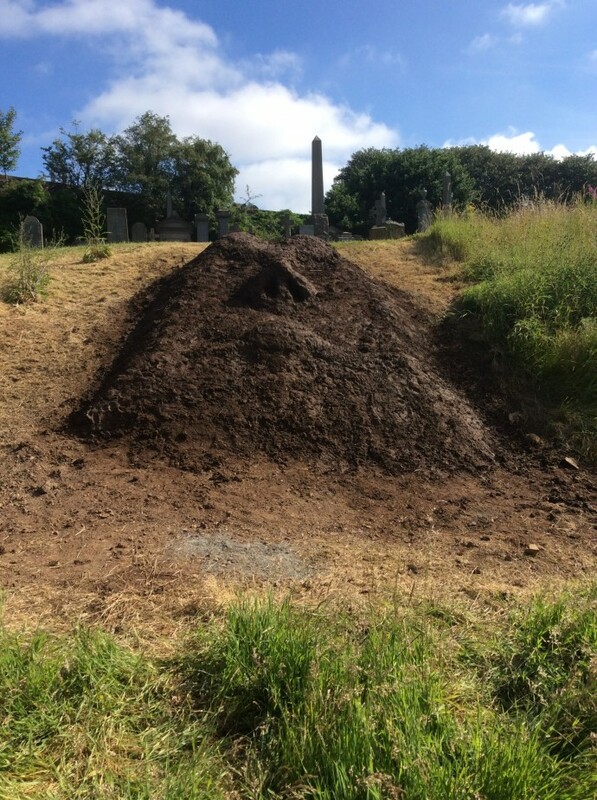 Earlier this year I was approached by Ruth Johnston from The Friends of the Necropolis and asked if I could adapt the project and build a similar construction in the Necropolis Wildlife garden. As part of the Wildlife garden the sculpture was used as a base for planting and as such creates a ‘Green Man’ in Glasgow’s Necropolis. Traditionally the Green Man is defined as a sculpture, drawing or other representation of a face surrounded by or made from leaves. Representatives from TVC Conservation Volunteers Scotland helped in planting of wild flowers alongside local school children from Haghillpark Primary School. I am currently working on a group of drawings and paintings in relation to the project; a publication will be launched later in the year alongside a screening of the film. 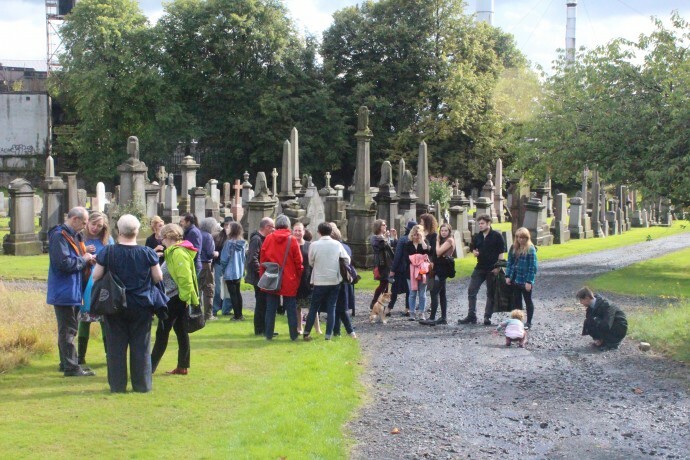 The project is supported The Glasgow School of Art, Glasgow City Council, Dennistoun Community Council, Dennistoun Conservation Society and Foundation Scotland. © 2015 Fiona Robertson - All rights reserved.